Visit the world famous Opera House & Bondi beach, go jet boating & sailing on Sydney Harbour, see koalas, kangaroos and dolphins in the wild, learn to surf, go snorkelling & sand boarding, party at Sydney's best bars and clubs and more! DAY 1 : OZ ADVENTURE BEGINS! 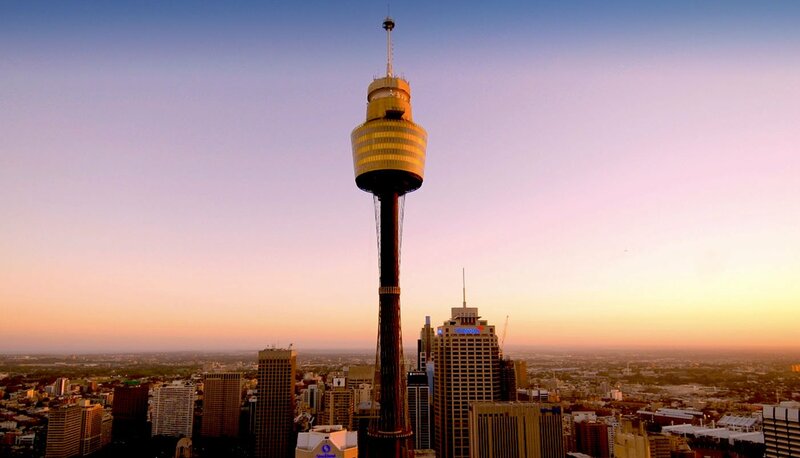 When you land in Sydney after your long flight we’ll be at the airport to meet you and take you to the hostel. You’ll have plenty of time check in, relax and meet the rest of your group. 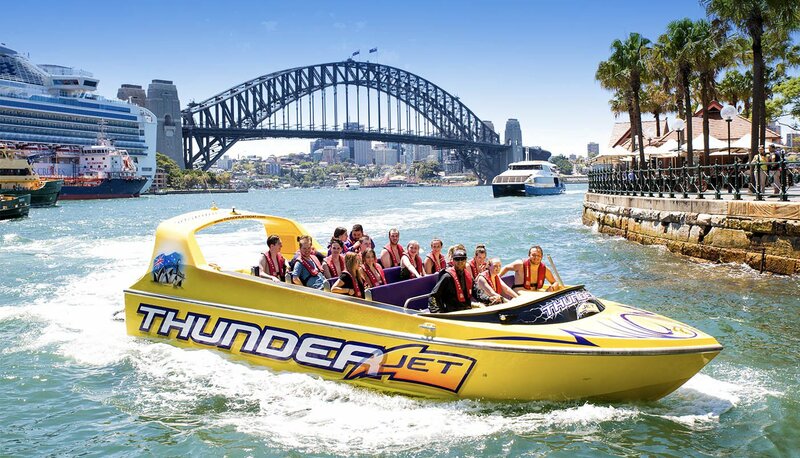 Today we’ll show you around the beautiful city of Sydney, go jet boating on Sydney Harbour, see the famous Opera House and Harbour Bridge and then head out for a few drinks! Today we’ll give you lots of info on travelling around Australia. We’ll then head out on a private cruise sailing around Sydney Harbour! It’s a great way to see the Opera House, Harbour Bridge and soak up the spectacular views with your new mates. 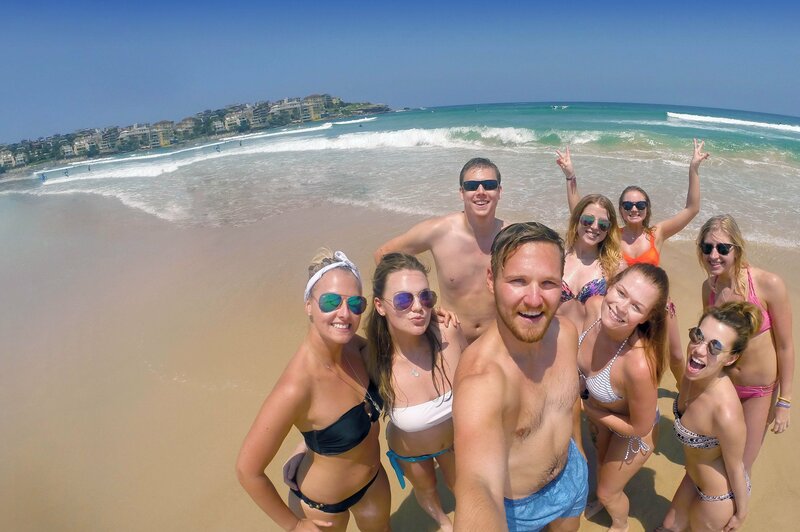 Today we’ll visit the world famous Bondi Beach where you can take a swim or just relax and work on your tan. Then we’ll do the Bondi to Coogee Coastal walk. You’ll snorkel in secluded bays, play some beach volleyball and enjoy an Aussie beach BBQ and a few cold beers! We’ll take you out of Sydney and head north to the stunning Port Stephens. Along the way we’ll stop off at a beautiful secluded beach and learn to surf with qualified instructors and real aussie surf dudes! Tonight we’ll stay in a uniquely Australian bush bungalow and have a BBQ under the stars. Wake up to the sun rising over the Australian bush before tackling the biggest sand dunes in the southern hemisphere on a sand board! After lunch we’ll jump on a boat cruise, work on our tans and spot some wild dolphins. We then make our way back to Sydney just in time for a night out on the town! Today is the day we help sort any or all of your onward travel around Australia, New Zealand or South East Asia. We’ll help you plan and organise the trip of a lifetime and make sure you’re confident and comfortable with where you’re going next. A free day to explore more of Sydney before we get dressed up for dinner at Australia’s highest and most spectacular revolving restaurant. It’s the perfect way to end your amazing Oz Adventure! You’re now ready to go off and travel around Oz with the new friends you've made! We'll help plan and sort all your onward travel and will be there to support you throughout your whole time backpacking in Australia. We'll answer all your questions, give you advice, support and make your big trip to Australia completely stress free. We'll be there to greet you at Sydney airport after your long flight and take you to the hostel. Before you arrive in Australia you must have a valid visa. Oz Adventure is perfect for those on a Tourist visa and we can sort this visa for you! Just add it to your booking. * Please note: Your visa will be an extra cost. Awesome Group Leader from the moment you step off the plane. They'll be there to provide 24/7 support during & after your trip, as well as help organise all of your onward travel. 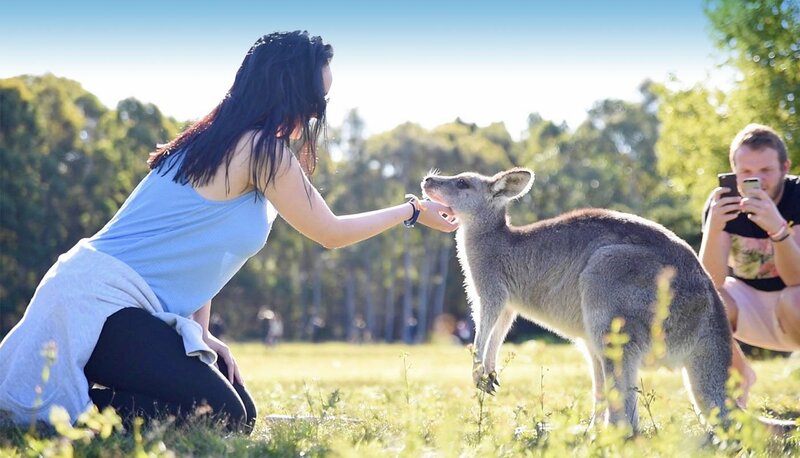 By doing Oz Adventure you'll make some great new friends to go backpacking around Australia with. Plus we'll help you plan and sort any of your onward travel, so you'll have the trip of a lifetime! With unlimited free internet, printers, comfy couches and lots of friendly staff to help you. 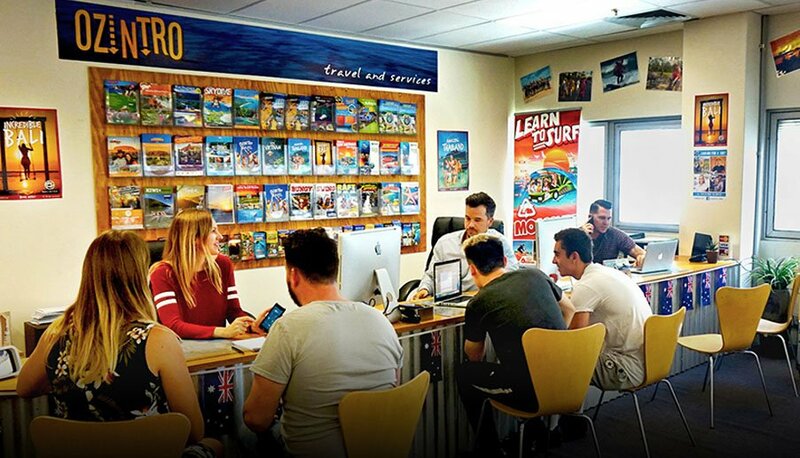 Our Sydney office is your home away from home and base for help with travel or absolutely anything else you'll need to ensure you have an amazing time in Australia. We've been operating trips in Australia for over 10 years, with over 10,000 happy travellers. Oz Adventure has an average rating of 4.8/5 based on 1,398 customer reviews. The tour is amazing for those who start their journey in Australia. I had a great time. Phoebe was a fantastic tour leader and there was always something going on! Had an amazing time with tom for oz adventure. So helpful for planning the rest of my trip in Australia, would recommend to everyone!! Amazing week with loads of great stuff to do!